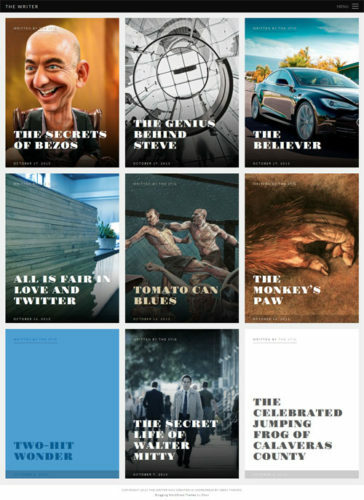 Magazine themes are the most popular type of theme to download. There are plenty of premium WordPress themes and Joomla templates to choose from when create a magazine website. You can easily create a magazine website like Vogue, website like Elle, Gossip website like PerezHilton, tech news magazine website like Techcrunch, fashion magazine like Fashion, sports magazine like wimbledon or ESPN and much more. The themes listed below are the best magazine premium WordPress themes currently available. This is a large, dynamic gallery, continually updated and new themes added when top quality themes are released. Best Magazine theme collection is below. MagXP is a multi-purpose Magazine WordPress theme by MyThemeShop. 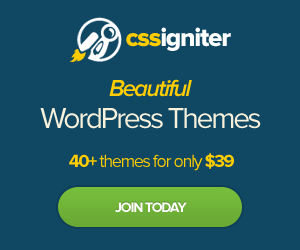 This is the perfect theme for any type of website you want to create. Plus, using WordPress is the easiest way to create a website because all the features are built into the theme, there is no programming knowledge required. MagXP Magazine Template can be used to create a site for a store, fashion magazine, technology magazine, Health magazine, movie reviews, games reviews, entertainment magazine, relationship magazine, news, sports magazine, and more. Features include a ratings and reviews component for reviewing different categories of interest, a scrolling featured slider on the front page, social media integrated, you can easily showcase your featured articles, show links to your popular and recent articles, display trending posts, lots of space for ads and more. MagXP is a great WordPress Theme to create your magazine website. Click here to see more features of MagXP WordPress Theme. MagXP is a fully responsive theme. This is a very important feature for your magazine site because most of your users will be visiting your magazine website with their iPhone or tablet device. The responsive feature will dynamically resize and wrap the content, navigation, and photos to the width of the viewing device. You can test out the responsive feature by checking out the demo. Resize the window smaller and larger and you will see content wrap and resize themselves. The font size of content will remain the same so it always remains readable without the visitors having to squint or zoom into your site. Supports post formats – Audio, Video, Quote, Images, standard, aside etc. TheHealth is the perfect way to create your own online Health and Fitness Magazine. Using WordPress is easier than ever, just install WordPress on your web hosting, upload and activate the theme. You will have your health magazine up within the day. TheHealth magazine theme is created specially for health and fitness bloggers, weight loss blogs, Food blogs and general lifestyle WordPress blogs. Every element of this theme is well crafted and makes your site look professional website. Many Health bloggers have put in their inputs and suggestions for this theme to make this your perfect theme to create your Health and Fitness Magazine website. Features include responsive layout, scrolling featured articles, gallery, colourful design, ad monetized, social media icons, content rich layout, powerful admin control, short codes, custom widgets and more. Click here to see more features of TheHealth Wordpress Theme. TheHealth is a fully responsive theme which means the content will automatically wrap to fit the viewing screen. If the user views your health magazine on their iPad or smartphone, they will not have to squint or zoom into the content to read it. The content will automatically wrap to allow the user to be able to read and navigate the content easily. You can try the demo and test out the responsiveness by resizing the window. The frontpage of this Magazine WordPress Theme allows you to showcase your top articles using a scroller. The admin control panel allows you to control every aspect of your website and easily customize the colours and options of your health site. Alpha is a unique and professional Sports News WordPress Theme. At the top of your sports news website there is an advanced menu system along with thumbnail links to featured sports articles. The scrolling featured sports article scrolls across the viewers screen to showcase the top news sports. Alpha is professionally designed and laid out so you can transform your blog into a sports news website instantly. There are tons of built in plugins and includes a built-in news ticker that allows you to quickly create a set of breaking sports news. Alpha requires no programming knowledge and has tons of documentation to help you setup your sports news website. Easily create a sports news website like ESPN, Tennis news, Golf News, Hockey News, Olympic News, and any type of news website. Click here to see more features of Alpha Professional Sports News WordPress Theme. Alpha is fully responsive theme. Most of your visitors will visit your sports news website with a smartphone or tablet device so it’s important to have a website optimized for their viewing. Responsiveness will accomplish this. You can test the responsive feature by playing with the demo. Resize the window smaller and larger and you will see the content, images and sliders wrap to fit the width of the window. Other features of Alpha include a sports news ticker, thumbnails feature articles, video slideshow, social sharing icons, shortcodes and more. Below are more features of Alpha Sports News WordPress Theme. Valenti is a premium WordPress Theme that brings all cutting-edge features into one theme. This is a Parallax reviews Magazine WordPress Theme with a unique mega menu system, beautiful drop down menus, hover over animations, featured image post with parallax effects, retina ready, and more. You can place as much content as you want in your magazine homepage because there are tons of widget space and the homepage is totally customizable to accommodate large amounts of images and content. You can have your magazine featured articles, thumbnail slider, Ratings & reviews of articles, image articles from different magazine categories, social sharing icons, Twitter feeds and more. Valenti requires no programming knowledge because it includes an advanced control panel where you can customize every aspect of your Magazine website. You can create a magazine site for fashion, gossip, sports, political news, celebrity news, technews, site like mashable, site like techcrunch, and any other content rich magazine site you want to create. Click here to see more features of Valenti Parallax Reviews Magazine Template. Valenti is a fully responsive theme. The Responsive feature is activated when users view your site from a smartphone, tablet or any smaller screen. You can test out the responsive feature by playing around with the demo. Resize the screen smaller and larger and you will see the images and content auto wrap to fit the width of the screen. Other features of Valenti include parallax effects, shortcodes, social sharing icons, lightbox gallery, sample demo content included, SEO optimized and more. Below are more features of Valenti Parallax Reviews Magazine WordPress Theme. 4 different modern grid modules (4, 5 & 6 articles + a variation of the 5 grid) to show featured or latest posts. Extensive documentation with images and videos. Can also be seen online. Sensational is a professional and colourful Magazine WordPress Theme. It’s designed to help you create a content rich magazine site that looks like Vogue, Elle, People, Business, Fashion, PerezHilton, Gossip Magazine, InStyle and more. This colourful magazine WordPress Theme has a floating menu bar, tons of banner space for your to place your ads, hovering effects, awing transition slides, unlimited colours, unlimited backgrounds. You don’t need any programming knowledge to create your own colourful magazine website. Sensational has an amazing control panel where you can customize everything on your website. Click here to see more features of Sensational Magazine Template. Sensational is all WooCommerce enabled. You can easily create a fully functional eCommerce online store with all the features required in an online store. You will have a shopping cart, checkout area, showcase your products, list your products, prices and more. WooCommerce is a free WordPress plugin that allows you to manage products, inventory, shipping, tax, payment gateways, invoices, email communications and reporting. Other features of Sensational includes responsive design, social sharing icons, social media integrated, typography, shortcodes, documentation, SEO optimized and more. Below are more features of Sensational Magazine Template. The Writer is a minimal and unique WordPress Theme created for writers, publishers, bloggers, magazines, news and columnists. The layout is really unique as just feature images fill the frontpage. There are links to the individual articles which open the featured image to a full width image. The navigation menu is a fly in fly out so readers can get the maximum screen width to read your content. You can easily create menu links to different areas of your website. In your fly in and fly out nav, you can add social sharing icons, links to recent comments, search bar, and more You can easily create a website for writers and publishers because The Writer requires no programming knowledge. The Writer has an advanced control panel where you can customize everything in the site from the colours, and changing the logo, to changing the background and resizing images. Click here to see more features of The Writer WordPress Theme. The Writer is a fully responsive theme and adapts to any viewing screen. You can play around with the responsive feature by checking out the demo and resizing the window. You will see the content and images auto wrap to fit the screen. This is great your audience users smartphones or tablets to read your content. Other features of The Writer include shortcodes, social media integrated, minimal, unlimited colours, easily change background colours, and more. See below for more features of The Writer WordPress Theme.